Add sophisticasion when transporting your desired drop. We offer a vast selection of wine boxes in several customized styles that will help you showcase that very special bottle. 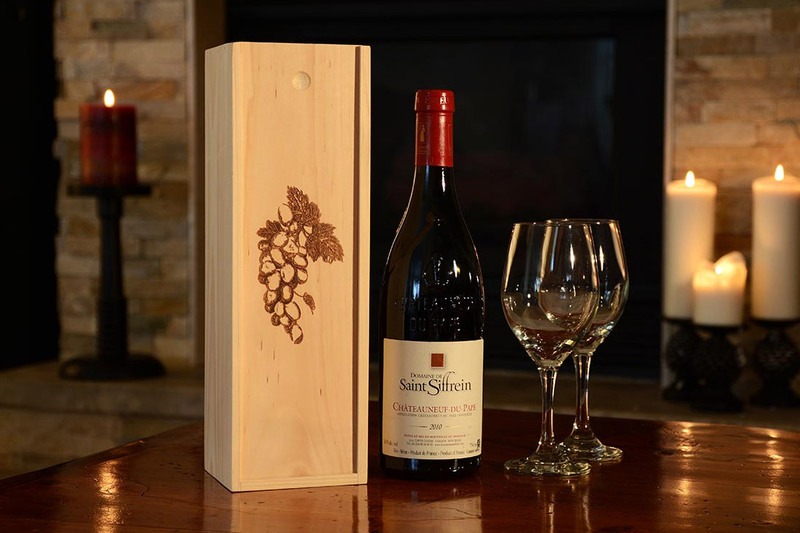 Premium styles such as the timber wine box with sliding panel and flexible wooden wine tubes allow for great branding as they can be custom printed or engraved depending on your design. Our wine boxes are an ideal way to promote your special bottle and showcase your brand in a unique way. Perfect for promotional events and corporate gifting. Why not make the complete gift package with branded glassware, we have a wide assortment of styles which you can find in our ‘Glassware’ section.